What is the very best makeup brush set on the market? To be honest, answering that question depends a bit on your budget. The most expensive brush set on this Best of the Best list is $650, with the most affordable full set coming in at $8.55 on eBay. And there are several brush collections in the $20+, $30+, $40+ and just over $100 mark. I set out to answer this question for various price points — largely because there are a lot of questions about quality brush sets in the beauty-sphere and the truth is, you can go very wrong sometimes in getting a “brush set” that isn’t really a good set, or grouping of toe shapes, at all. So I did this Best of the Best Brush Sets review with what I consider to be *a full set* in mind. So, I only included brush sets that contain enough brushes to do a full face. That includes foundation, powder, blush and basic eyes — sometimes including a few bells and whistles such as contouring and highlighting. I also *excluded* limited edition makeup brush sets from the list below, but it’s important to note: the very best time to get your hands on a unique, high-value makeup brush set is during the holiday season. Every year about mid-October, we begin keeping tabs on the best holiday brush sets, which begin launching about then and are usually limited editions that sell out. For more on holiday brush sets, click here. I’ve also kept in mind the various problems you can have with brush sets and mentioned them, as necessary, below. One of the big problems with brush sets on the market today is that they can fall short somewhere in being complete. There are brush sets, for example, with brushes you’ll rarely find a use for. 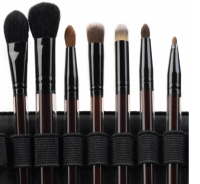 Or brush sets — sometimes even very expensive brush sets — where you need to add just one or two more brushes to make the set complete. Which begs the question: What’s the point? I mean, if I spend $150+ on a brush set and then need to add, say, a powder brush to make it complete, that doesn’t feel right to me. Now, I do recognize that there are also excellent special-purpose brush sets on the market for, say, smokey eyes or face alone. My Brush Betty will do another story about those some other time. Excessive shedding. Or total toe failure, where the hair assembly falls apart or the integrity is otherwise damaged. Now, there are mostly easy solutions to three of those top four complaints. A smelly brush can usually be washed and aired out. A bleeding brush can be treated with vinegar to set the dye, a step likely skipped at the factory in an effort to save money. And a broken brush can be super-glued back together. But a brush that sheds too much, or whose toe is compromised, is basically garbage. Not unless you want to re-manufacture your brush or pick little hairs out of your face and clothes. The good news is that this last problem is extremely rare anymore. So, I’ve tested tons of brushes — which I 100% paid for myself — and I kept all of the issues above in mind here. I will note issues issues where appropriate. I’ve also included some video reviews below, which are also helpful in making purchase decisions. We’re going to travel down our Best of the Best list from High to Low, and remarkably, I find that you don’t have to give up a whole lot sometimes to make the jump down a brand — or brand image — or two. 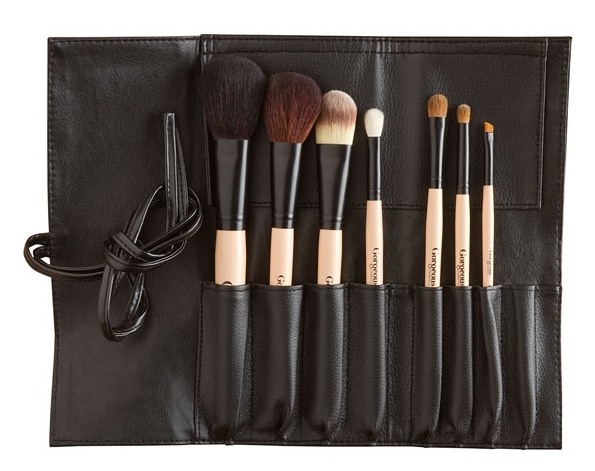 I’m going to skip over what I consider exotic brush collections from Japan, such as those from Hakuhodo, and that are just too darned expensive, like this $1,500+ brush set from Claudio Riaz. We’ll start under the $1,000 mark, with this beautiful set that is available at several major department stores. 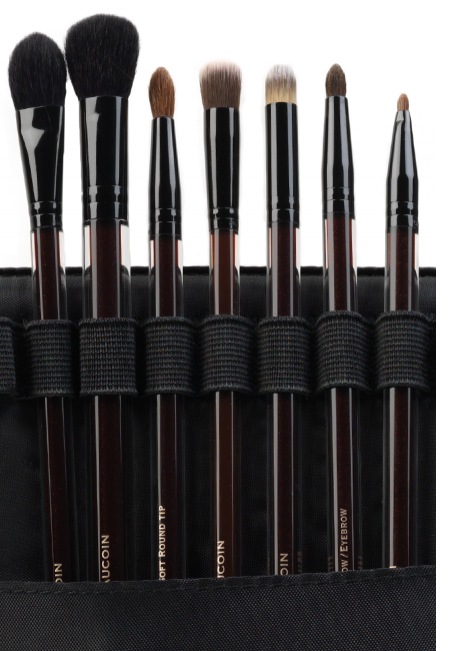 Kevyn Aucoin Beauty — The Essential Brush Collection. $650. Which is — wow! — quite a promise. Then again, you’d expect that at this price point. All the bells and whistles are included here. Full face. Full eye set. And lips. The toes were, according to the marketing materials, designed by the late Kevyn Aucoin himself. Give this brush set as a gift, along with Kevyn’s classic book, Making Faces, and you’ll be golden with a beauty lover. 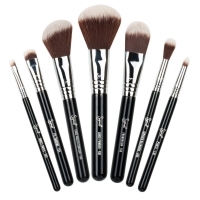 This brand also offers a smaller 7-brush “Expert Brush” set, which I also like for $245, but it’s not as complete. It’s missing a separate powder and blush brush, if you require two separate brushes for those tasks, as do many women. In conclusion, Kevyn’s brushes represent My Brush Betty’s favorite brush set at this higher price level. 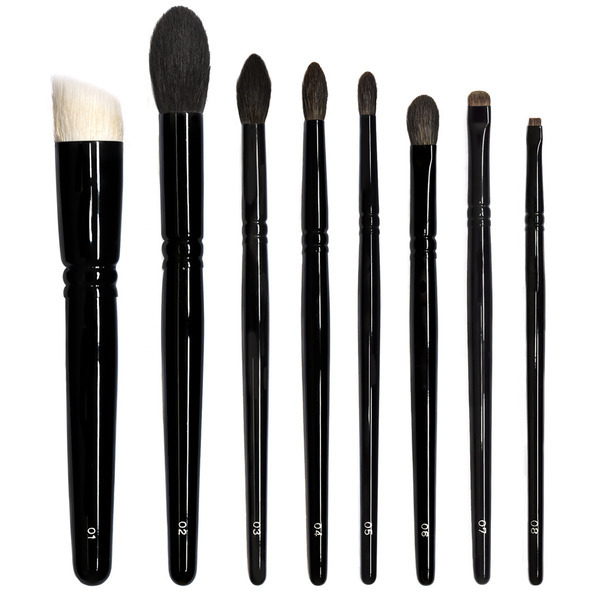 Another beauty of a brush set, from vlogger extraordinaire Wayne Goss. 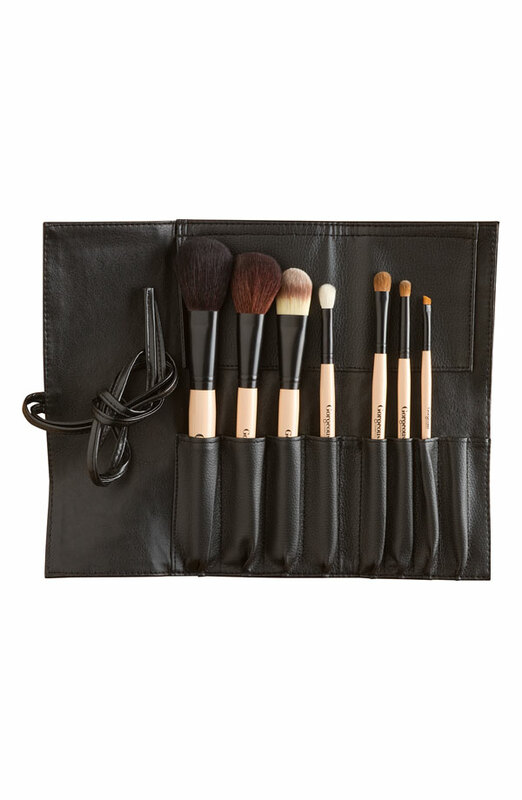 This 8-piece brush set, which was released in 2013 to much fanfare, is done in a piano key black. It’s glossy, modern and very Japanese. What do I mean by Japanese? Primarily I mean small, soft, and precise. In this case, these brushes are also legitimately Japanese — made in Kumano, which, as I’ve written before, is the world headquarters for the highest quality makeup brushes. There’s even an interesting photo essay here about how The Collection is made. Wayne’s brushes are said to be made of humanely gathered natural hair. So, we’ll have to take the word of his unidentified brush manufacturer on that. 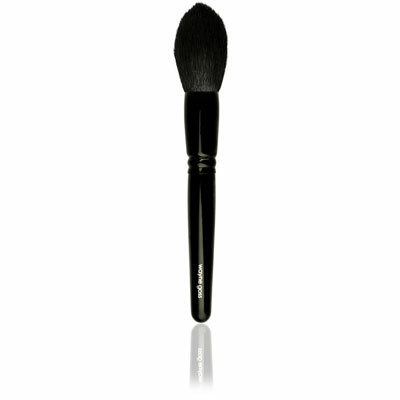 Wayne Goss — The Holiday Brush. 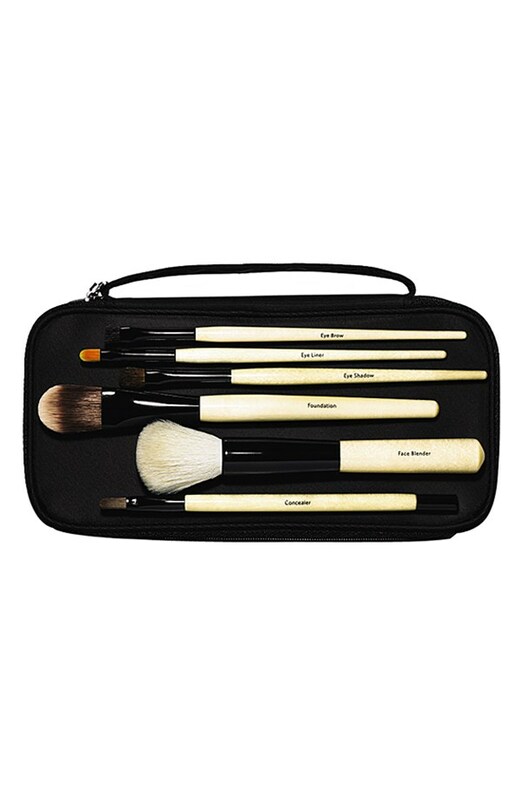 One thing this brush set is lacking for some beauty lovers is a big powder brush. Now, if you know much about Wayne Goss, you’ll know he’s not a big fan of big powder brushes in the first place, largely because a lot of women tend to over powder and get dust all over themselves. Wayne recommends more precise powder pressing and powder rolling. That said, after he came out with his Collection, he did come out with a big powder brush, called The Holiday Brush ($85), although it is currently out of stock and is accepting RSVPs for its December 12 return to the market. So, if you add the two together, this would represent a complete set for most women. But if you spend $210 on a set, you really shouldn’t have to add another brush at any price to make it complete for most women. Wayne Goss – The Eye Set. That said, I personally *DO* find his original collection to be complete for my tastes, as I prescribe to his more precise powdering philosophy. As you go through the list below, you’ll notice some higher end brands also do not include separate powder and blush brushes — probably for this same reason. So it’s something to keep in mind. Wayne’s brushes are high grade animal hair and executed in excellent, precise toe shapes made by talented brush artists in Japan. I think this set is an art set, which means it might be overkill for many ladies just trying to do their makeup and go. That said, if you have a challenging eye shape or sensitive skin, where softness and precision really matters, this might be worthwhile for you to prevent pulling and tugging. 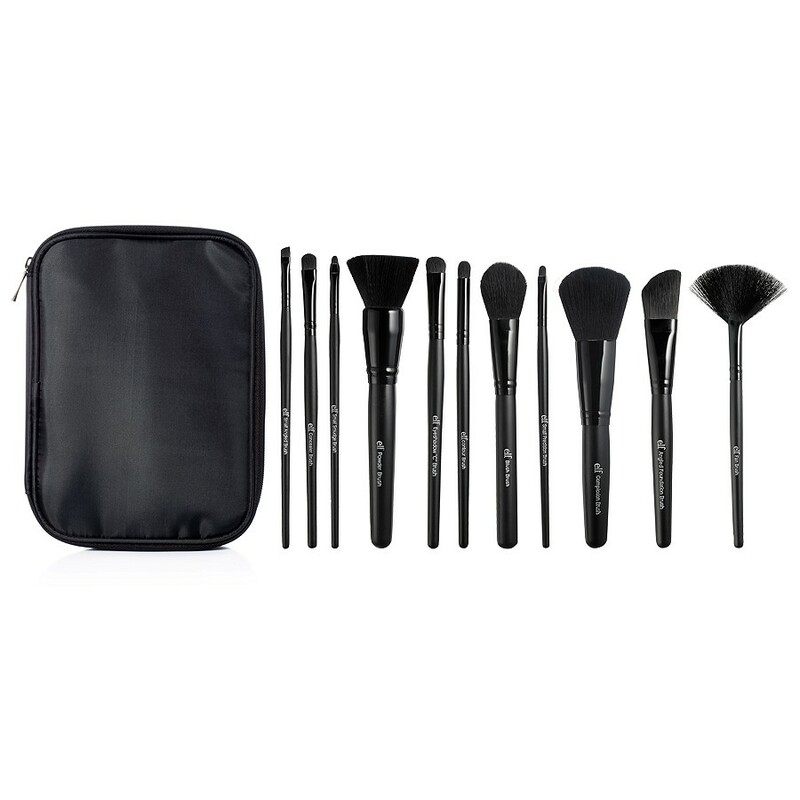 You may also want to take a closer look at the Wayne Goss Eye Set for $148, which excludes the face brushes and is a most excellent and complete eye brush set. Sigma Essential Kit – Mr. Bunny. $178. 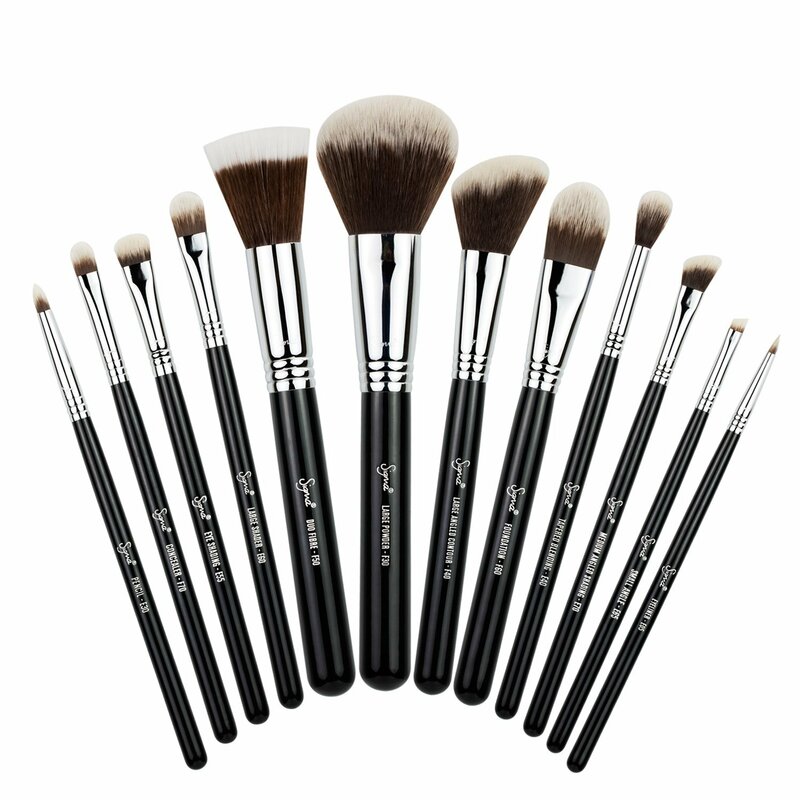 Now the Sigma brand has really become a brush leader in the marketplace, and they are known for their synthetic brushes, although they actually have a lot of synthetic and synthetic-natural brush sets. 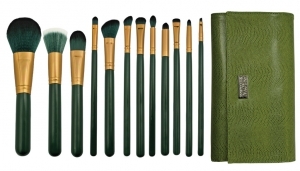 So this set was chosen carefully from among their various brush sets. The Sigma Travel Kit – Mr. Bunny sells for $86. 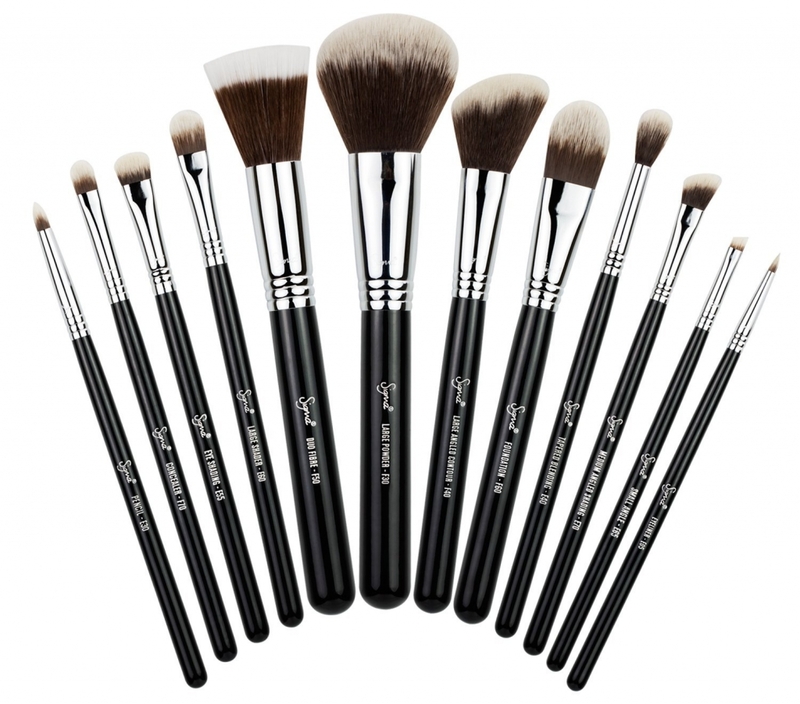 The Mr. Bunny set recommended here is the fully synthetic version of Sigma’s most popular “Essential Kit,” which includes both synthetic and natural brushes and is also less expensive, at $159. I chose this kit instead because it’s fully synthetic, made with Sigma’s popular Sigmax synthetic fiber. If this is too expensive for your tastes, Sigma also offers an abbreviated, but still full-face travel set, for about half the price. The Sigma Travel Kit – Mr. Bunny sells for $86. 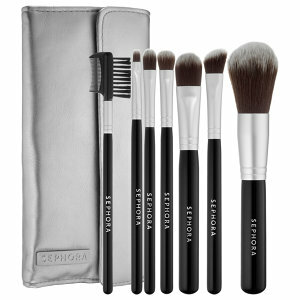 All of Sigma’s brush sets get good to great reviews. 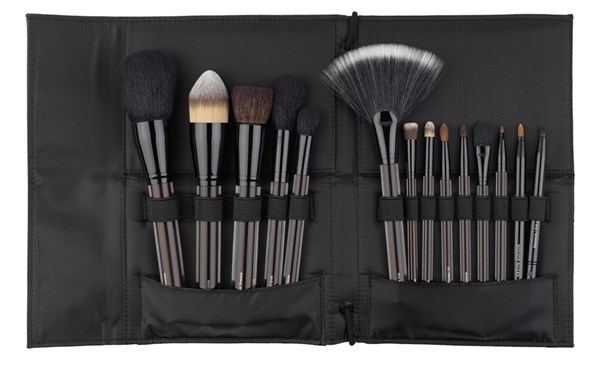 Gorgeous Cosmetics 7-Piece Brush Set. $149. I weighed this pretty wood set heavily against the Bobbi Brown Basic Brush Collection, which has a very similar look and feel, but costs a little more cash, at $190. I think the Gorgeous set is simply more in line with how most women are going to do their faces. That said, both sets are lacking in information about hair or fiber choices, which disappoints My Brush Betty greatly. Dear Brand Managers: People do want to know if you killed an animal for these brushes or even if you want to claim that the hair was gathered humanely, which is pretty difficult to prove. And note to you beauty lovers out there: If a brand doesn’t explicitly say what the brush is made of, it’s probably made of something that they want you to overlook. 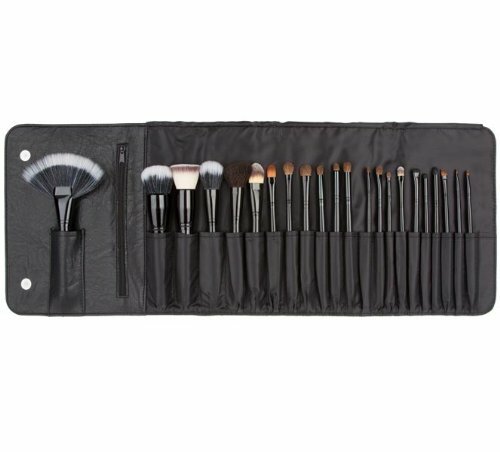 All that said, the Gorgeous set is, indeed, gorgeous, and it contains all the brushes you need. It’s also sold at premium department stores, so you know it measures up to their standards, and if it doesn’t, stores such as Nordstrom are typically awesome at accepting returns, even after the product has been used. 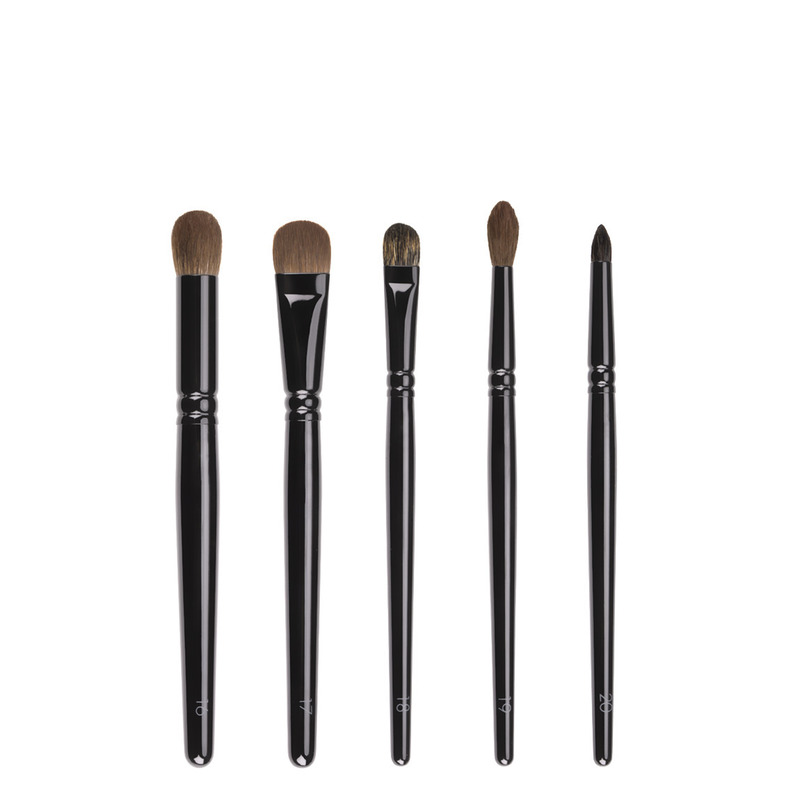 Sephora Collection Deluxe Antibacterial Brush Set. $60. This is one of Sephora’s better groupings of brushes. Subtext implied. Be forewarned: it is missing a separate powder and blush brush. Instead, you get a brow/lash comb. (“Thanks, Sephora,” My Brush Betty says sarcastically). 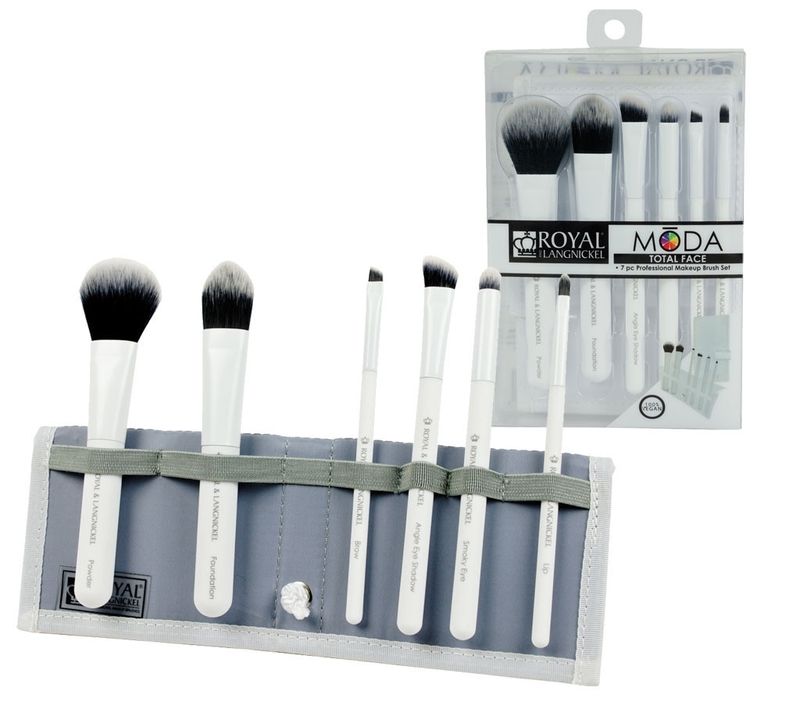 My Brush Betty decided to include this set anyway because it is one of the few brush sets, or collections, that claims to be made with real antimicrobial technology in the brush fiber on “each brush,” according to the marketing material. In addition to a lot of reviews, this set also gets great reviews. That’s true on Sephora’s site, as well as Makeup Alley. And it’s true from people who’ve owned the set for a long time. So, it’s a good enough value that I could not exclude it from this list. We’re also under the $100 mark here, so this is where you begin to see some compromises. At least when you’re dealing with bigger brand names. Crown 10-piece Italian Badger Set. $48.74. I have personally owned this brush set for well over a decade. And it still looks most awesome, despite some aggressive moves and traveling and cleaning over the years. This is real, bona-fide animal hair, folks. Definitely not for vegans. But it also emphasizes why real animal hair is so beloved by makeup artists, such as Kevin James Bennett, who recommends this very set on his “In My Kit” site. These brushes have great pickup and payoff characteristics. 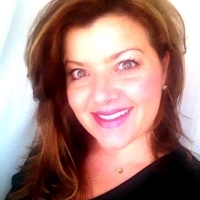 And while everyone has different, and sometimes strong opinions on synthetic v. natural animal hair — I personally appreciate the unique traits of both — I truly love a real animal hair set for how it makes me feel closer to nature and animals. For example, I recently purchased this also wonderful 11-piece professional makeup brush set from DaVinci , which makes all of its brushes in a sweatshop-free, family-owned factory in Germany. The moment I opened it, the musky, earthy, organic scent of the real hair transported me back to my post-college days when I lived on a horse farm and was happy and carefree. I also love this brush set, although the extraordinarily long handle length, combined with the $188 price, prevented me from including it on this list. Still a great set, if you like animal hair brushes. 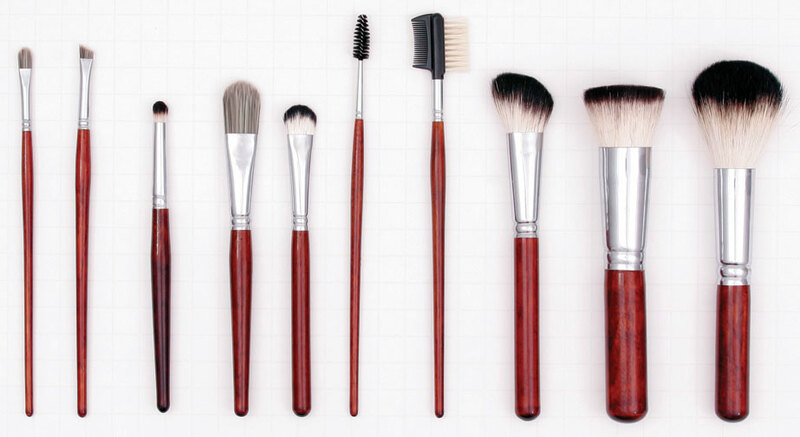 Getting back to this Italian Badger set, however, Overstock.com carries a brush set that looks remarkably like this one, although I’m unclear if it is actually made by Crown or not. It’s currently out of stock on that site, but the price is usually half as much as what Crown charges, $24.99 to be precise. I’ve had difficulty determining if it’s a fake or not but the reviews on the virtual lookalike are extremely high. 4.5 starts with 105 reviews. I’ll update this article if I find out, but for now, you’ll want to stick with the real deal and get it directly from Crown. 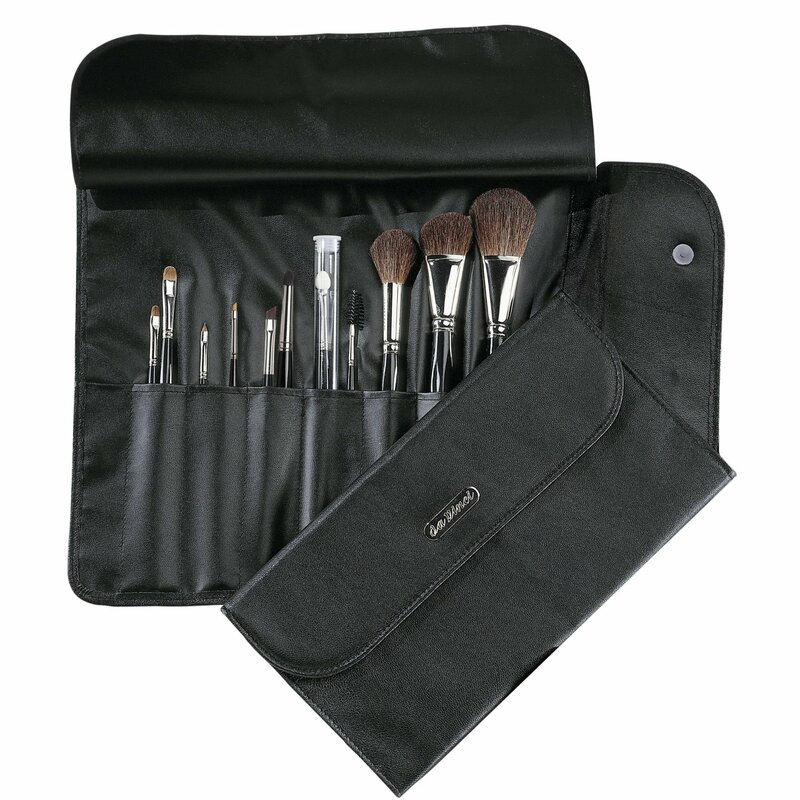 Coastal Scents 22-Piece Brush Set. $34.95. This is one of the most highly reviewed brush sets on Amazon.com and it includes every brush you could possibly need for a pretty modest price. The thing that I like best about Coastal Scents is that the company is extremely transparent about what their brushes are made of, from goat or pony hair to nylon, the most basic of synthetic fibers. If you don’t want natural hair in your brushes, this isn’t the set for you. But this is a great, full set for the price. And if you damage one somehow, you don’t have to sweat it, given the price. And quite frankly, I’ve found these brushes to be pretty solid. So what makes these brushes so much cheaper than more expensive full sets? To be honest, they aren’t finished as nicely. The handle painting and ferrule finish are sort of meh and they dull out pretty quickly. The wood under the paint on the handle is also probably something very cheap, like pine. This is a great gift for a teen who who, again, isn’t overly concerned about the animal thing. e.l.f. Studio 11 Piece Brush Collection. $30. At this price point, Eyes Lips Face (e.l.f.) 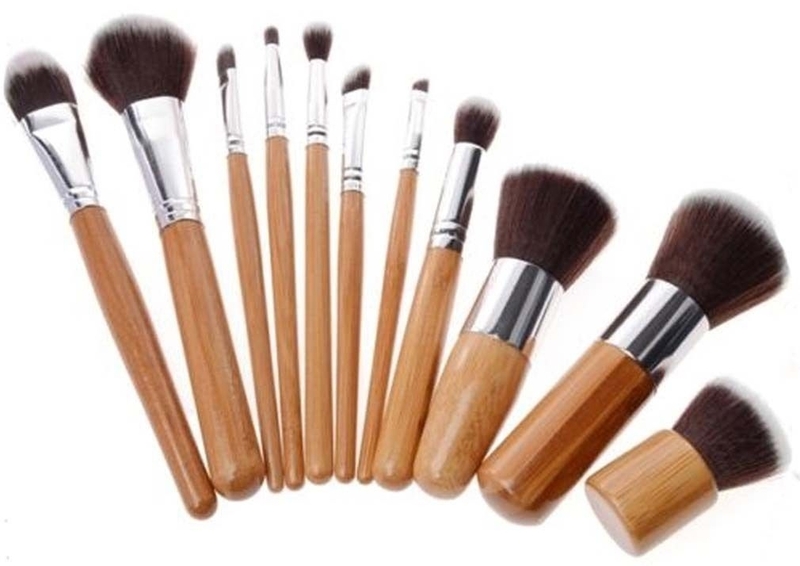 makeup brushes are a good value to many, and this popular set, which may be found at many discount stores, is a good grouping of brush toe shapes for a full face. This gets 4.5 stars out of 5, with 604 reviews on the e.l.f. site. The website, unfortunately, does not say specifically what these are made of, although the brand does note that is is partners with PETA in the Caring Consumer Project. I’m assuming then, that they don’t use real animal hair in the brushes, although they aren’t as explicit about it in their marketing materials as they ought to be, if that’s the case. I recommend buying this set directly from e.l.f. online, as there appear to be some knockoffs listed under e.l.f.’s retail price on Amazon. 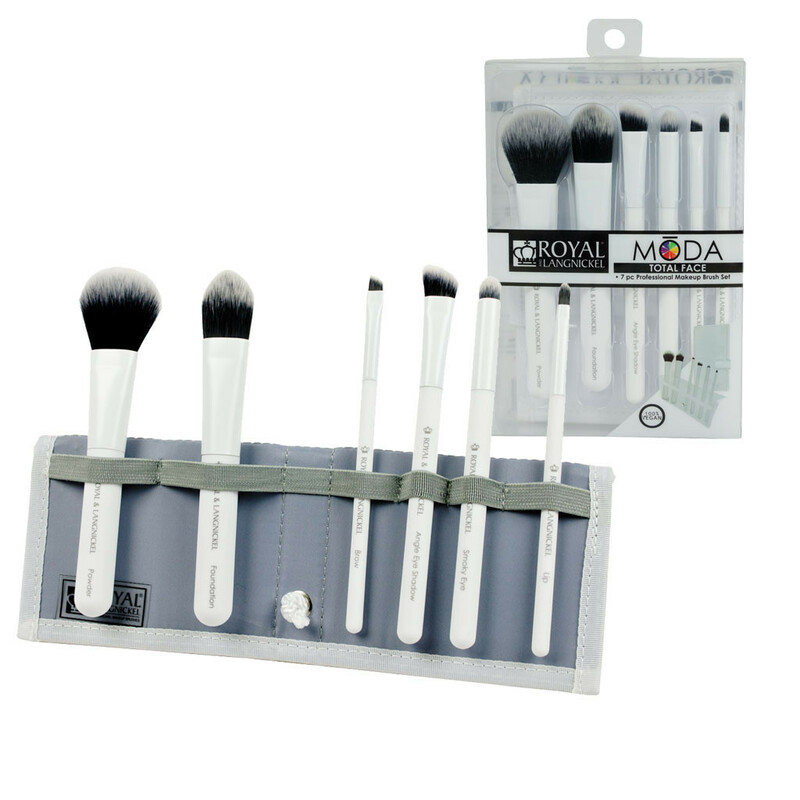 Royal and Langnickel MODA Total Face 7-piece White Brush Kit. $19.99. Your very first thought on these might be how much they resemble Real Techniques brushes. And you’d be right about that. Unfortunately, Real Techniques does not offer a very complete full face set in their product line, so My Brush Betty could not recommend it here. In fact, I am mystified that they don’t offer a full face set. Now if you pair together their Starter Set and their Core Collection set, each of which retails for $18, you have a full face, but their parent company, Paris Presents, doesn’t offer it that way for whatever reason. So MODA from Royal and Langnickel, a highly trusted brush maker that also makes paint brushes, gets the nod instead at this price point. For a full face synthetic brush set that is 100% vegan. These brushes also have no-slip handles, another rarity at this price. 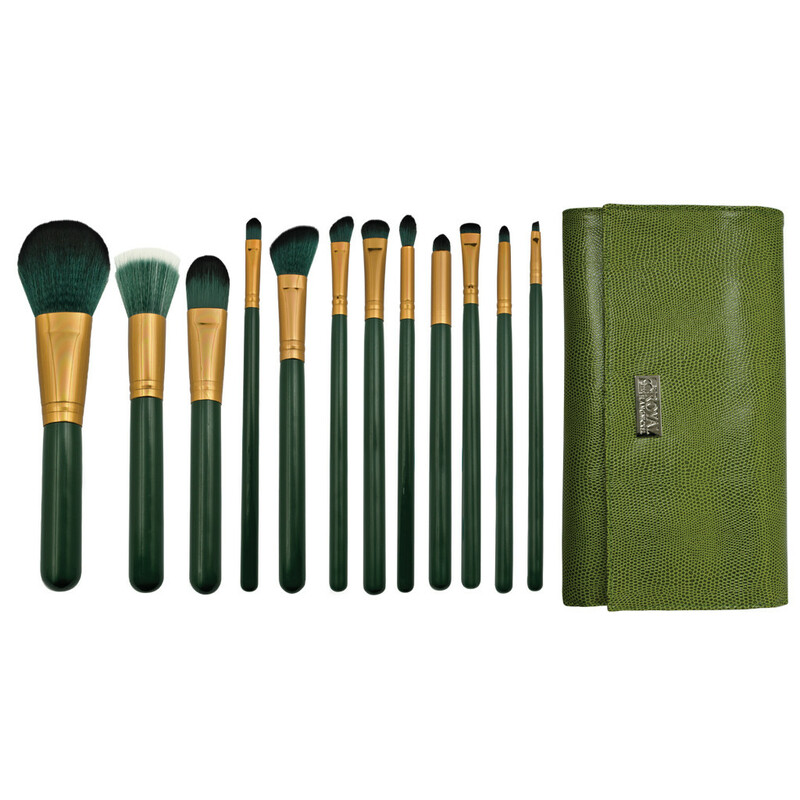 Royal & Langnickel is a trusted brush manufacturer with 100% vegan options, such as this ENVY brush set, for $59.99. That said, this brush set is missing a separate brush for powder or blush, but for the price under a major brush label, this is a good-to-great set. Since we’re on the subject of Royal and Langnickel, I also find them to offer interesting brush lines altogether if you have specific requirements. 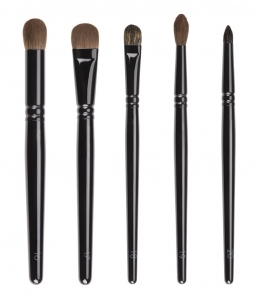 For example, their high-end Revolution brushes use DuPont’s Natrafil advanced synthetic fiber with titanium-plated ferrules and rubberized handles. 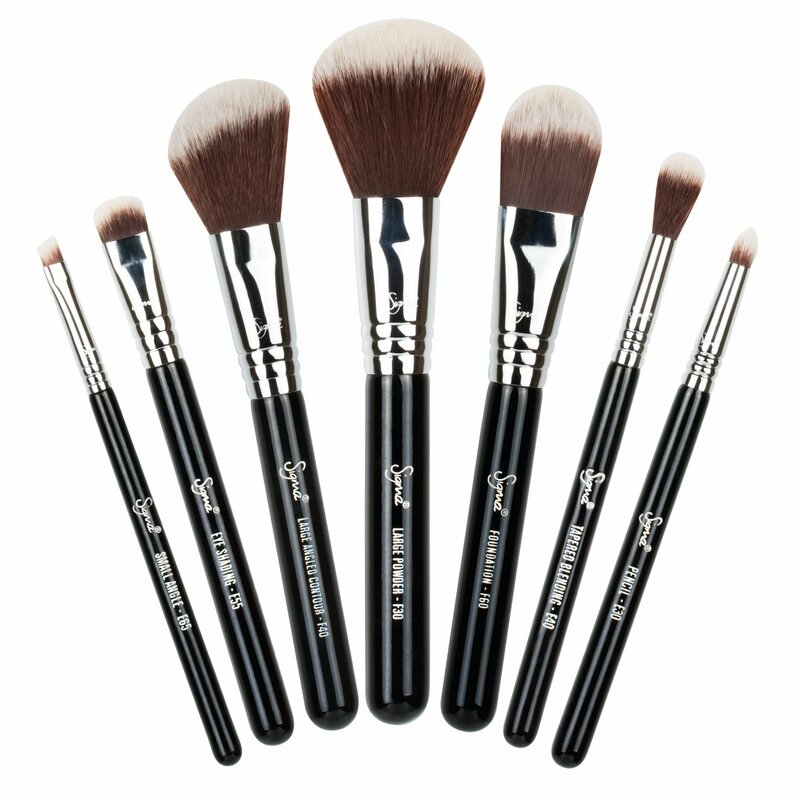 They also offer, as stated earlier here, 100% vegan brushes and brush sets. I also like their Green ENVY brush set. $59.99. 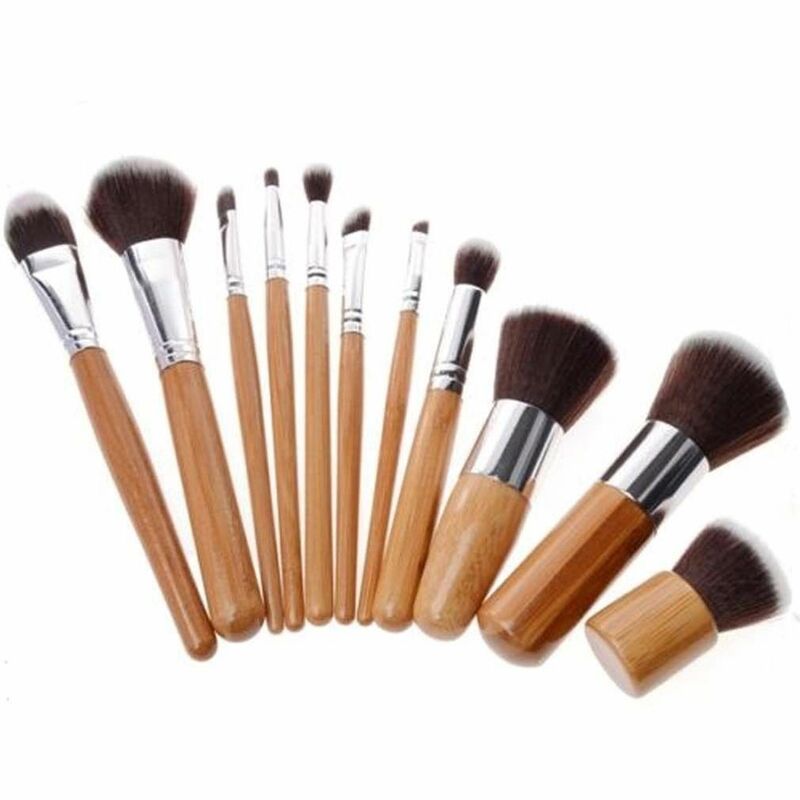 Ebay – Wood Handle Makeup Brush Set. $8.55. This is a super cheap brush set that represents a good value for the money. My Brush Betty recommends it because consumers have reported good luck with it, as you can see from the reviews below. If you’re looking for some cheap spare brushes to monkey around with, these will certainly do. That said, be careful what you buy on eBay. It can be a bazaar of knockoffs and poorly made products, if you aren’t careful. There are also foreign factories peddling products that didn’t meet the standards of their original customers for whatever reason. So, buyer beware. Angela here has compiled her own collection based on personal preferences for individual brushes, which is also a great way to build a collection! RSVP for the Wayne Goss Holiday Brush! I bought the large Shany Brush set and what a dissapointment. At first I thought they were great. But then two of the brushes shed all over my face on first use, and there after. The die from the brushes came off on my face too. Once they become wet with liquid makeup, its all over. After only two uses on another of the brushes the entire group of bristles came out from the handle. I called Shany and they said to send them a copy of my reciept from Amazon and to photograph the brushes and they would replace them. The person I spoke with though sounded uninterested and there was something in her tone that made lack confidence. After following their explicit instructions including emailing all of what I mentioned here to their customer service dept. as instructed, I never heard back. I’ve written and called 3 times and nothing. I’ve asked for my money back, but no reply either. I now believe this is one of those “you get what you paid for” situations. It was a too good to be true offer for sure. I don’t know if you will see this but.. I have the same Crown Badger set. Got it on Hautelook a few years ago and recently saw it there again BTW at a reasonable price; Crown are on there regularly, worth checking (In fact I just got their dupe for Becca’s brush in the mail but I digress). I have this exact same set. I didn’t know much about brushes back then I just thought I should have some and somehow chose this set. I didn’t use the large ones much as those days I mainly used concealer BB and cream blush and all applied with my fingers. I loved the eye brushes when I wore eye makeup. Anyway, after some medical issues about a year or two ago I started to wear more makeup and enjoying more variety. Unfortunately I hated the face brushes! They SHED. I hate having to pull hair off my face. Still. Like four years on… Clearly they are not getting better. I recently got the Sigma set you have here (on travel size like you mention). And a couple real techniques. I was about ready to throw out the Crown brushes but something keeps me from doing so. Maybe because they’re real hair? I had not thought about it before but thinking about what you said about natural hair in your post, I think I am more mindful of what I do with these as opposed to synthetic brushes that don’t work.I really think that’s the reason! So is there anything I can do to improve the shedding situation? The other brushes are all good except some nicks in the handles here and there. I still reach for the eye brushes a lot. They don’t shed. The larger three are however all shedding to different degrees. The flat top is unusable. I guess it’s unlikely I can do anything about it but if you have any suggestions, I’d love to hear them.